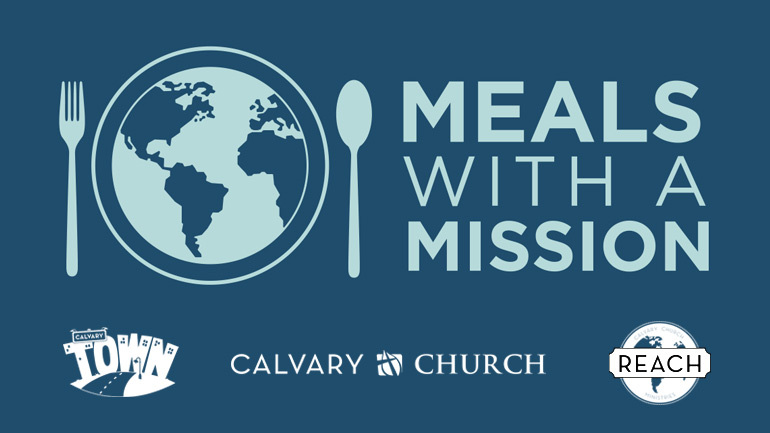 We have asked Calvary missionary, Patricia Sawo (Mama Sweetie), to share a recipe that she cooks at home in Africa. We've put the recipe on this page digitally and have also filmed a segment of cooking this meal with Patricia while getting to know her a bit more. We encourage you to come together as a family, watch the video, grab another family or invite the grandparents and actually prepare and the enjoy the meal together. We have asked Calvary missionaries, Karl and Sun Dahlfred, to share with us a recipe that they cook at home in Thailand. We've put the recipe on this page digitally (hard copies available in the church lobby) and have also filmed a segment of cooking this meal with Sun and got to know her and the family a bit more. We encourage you to come together as a family, watch the video, grab another family or invite the grandparents and actually prepare the meal together. Then eat the meal together and discuss some of the questions below as a family. Close your meal with a prayer for the Dahlfred family and God's work through our missionaries as they go out and continue to reach and disciple nations for the King! · What did you think of the meal? What was your favorite part? · By watching the video and reading the recipe card, name two things you learned about the Dahlfred family. · How does the Dahlfred family disciple the people of Thailand for the King? · If you were going to be a missionary, what country would you want to serve in and why? · What is one way you would like to pray for the Dahlfred family?